This was the kick-off question from our Regenerative Design and Education team at Terra Cura Inc. to a dozen of junior and senior students at Dighton-Rehoboth Regional High School (DRRHS). May 11, 2017 was the first discussion and design session for DRRH's Green Innovation Center. We hear keywords such as balance, positive impact, reuse of resources, renewable energy, beneficial actions that address the triple bottom line etc. The question established an informative baseline of how this small sample of next generation's human resource view sustainability, setting a stage for us to introduce the framework of Regenerative Design and Development. Before diving further into the design process and what regenerative development means, let us take a moment to introduce the incredible vision that gave rise to this design and education partnership for DRRHS Green Innovation Center. Terra Cura introducing the concept of regeneration beyond sustainability. It is a vision seven years in the making. Mrs. Tabitha Yeager, head of DRRHS's Environmental Technology and Sustainability program, championed the application for the Massachusetts Skills Capital Grant Program, a key player for the award of $492,000 by the administration of Gov. Charlie Baker to design and equip the lab, or “Green Innovation Center,” with an array of state-of-the-art monitoring and sampling equipment both indoor and outdoors. Leveraging a cross-sector team of industry experts, educators and designers, this is the only program of its kind available to students from the neighboring towns where students are offered not only a program, but will also be provided with a supportive built environment showcasing practical and real-time application of sustainable technologies and practices. This is a prime sample of experiential education beyond textbook teachings. 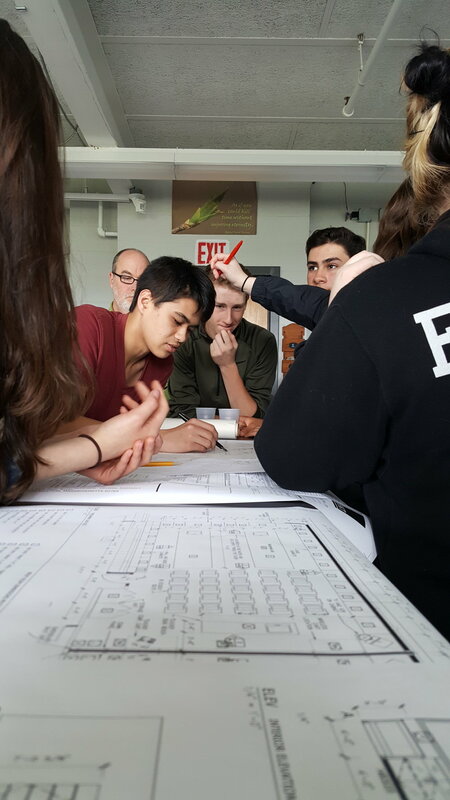 Through the Green Innovation Center project, Dighton-Rehoboth Regional High School seeks to expand its Environmental Technology & Sustainability (CIP: 151507-new program) classroom by adding a state of the art “green” lab space/extension to its current classroom. This lab space will contain a variety of “energy” centers that allow students to manipulate interior and exterior climate and environments and these relationships to a variety of building materials and surfaces and outdoor environments. Additionally, through the use of multiple sensors and monitoring systems students will learn about clean energy monitoring to further support needs for efficient, sustainable spaces. Incorporating use of this specialized equipment DRRHS will be able to elevate its Environmental curriculum to meet the anticipated, rising industry demand for green and sustainability professions. Designed in collaboration with several higher education institutions, multiple professional organizations and community-based groups, the Green Innovation Center will expose students to the technologies that measure and report sustainable performances. Through the data collected (energy auditing), students will be able to witness the environmental impact of varied actions and substances, and become proficient in using of their collected data and research as an effective predictor for businesses and the economy. (Excerpt from: Massachusetts Skills Capital Grant Program Project Description). Complementary to the indoor laboratory space, Terra Cura will be leading the design of an approximately 1-acre outdoor courtyard using Regenerative Design principles and technology. Currently an underutilized open field, the new courtyard shall incorporate a multitude of social and teaching spaces that support DRRHS existing arts and science program. It will also serve as a living classroom showcasing the practice of regenerative agriculture and landscape design. Reflecting on my own education and career, it is not uncommon for mainstream education, ivy league or not, to inculcate silo-ed attitude of learning. In a world of increasing complexity, rarely does our education system cultivate systems thinking in tandem with the application of specialized information. Even more lacking is the application of knowledge across sectors. This is where I believe this project sets itself apart from other educational or design projects - it holds the intention to guide potential beyond problem solving, from learning all the way to career-building. Not only will this funding benefit existing programs related to Carpentry, Drafting, it supports new programs related to Environmental Technology and Sustainability. Through extensive partnerships with higher institutions such as UMass Dartmouth, community organizations such as Massachusetts Audubon Society, and industry experts such as U.S. Green Building Council, the main goal of this effort is to guide students towards appropriate pathways for occupations driven by increasing market demand. Implemented successfully, it could seed an ecologically-conscious generation who could tackle complex, systemic issues related to environmental, economic and social issues at both global and local levels. The vision of having an exploratory indoor and outdoor classroom setting that displays and monitor green building, landscape and agriculture technologies will not be complete without an integrative design approach. What makes a design approach integrative? Speaking from Terra Cura's perspective, it is beyond the typical notion of coordination and checking off a series of deliverable, no matter how many "green" experts or objectives there are. It starts with designing a design process that works for the stakeholders. In this case, it takes a team that values the investment in time and energy to interact with students, teachers, school's facility managers -- a process not only to understand their wants, needs and concerns, but one which activates excitement and will that ultimately drives the collective stewardship necessary for the long-term success of the Green Innovation Center. Over the course of eight weeks, our design and education team from Terra Cura will conduct at least six discussion and design charrette student classess, along with other feedback sessions involving the larger school community, as well as collaborating with Next Phase Studios, a Boston-based Architecture and Planning firm leading the design of the indoor laboratory space. Each student session has a theory and practicuum component - a discussion topic related to regenerative agriculture and professional practice ; a practicum component where we guide students through various design phases of their central school courtyard. Follow us on future blog posts for this education and design process!